Hair loss can be hereditary but even still, there are a number of things you could be doing to damage your hair without even realising. Here we’ve shared some of the different hair care rituals that can potentially lead to hair loss and damage. Blonde hair is beautiful but if you are bleaching your hair on a regular basis, you could be causing some serious damage! Bleaching the hair penetrates the cuticle with chemicals and removes the natural colour pigments from your hair. By changing the make-up of your hair, you make it more susceptible to damage. Bleaching the hair makes it weaker and if you continue to blow dry and straighten it every day, you could end up with a lot of breakage and split ends. Using certain appliances like hairdryers and straighteners at a high heat can damage the hair and cause it to break off. It worse case scenarios, excessive heat can lead to baldness. The problem is that repeated straightening causes a breakdown of the cuticle. It causes the hair to unravel, leaving it looking damaged and frizzy. Women then see the frizzy hair and tried to straighten it at an even higher heat, causing the hair to break off completely. Straighteners and other heat appliances are very easy to use and many women have become reliant on them. The problem is that too much heat without protection (e.g. a heat protection spray) will damage the hair; cause breakage and can even result in balding. Chemical straightening and chemical curling can both damage the hair over time, as they work by breaking the inner bonds of the hair and re-forming them in a different way. Like bleaching, perms can weaken the hair and leave it looking dull and damaged over time. The more perms you have, the drier and more brittle your hair will become. You may think that it’s good to brush your hair regularly to keep it shiny and smooth but excessive brushing can actually cause split ends and breakage. It’s even worse if you’re using a cheap brush that snags and tangles the hair, as that will cause even more damage. If you feel like you brush your hair excessively, you may want to try putting it in a ponytail or bun to keep it off your face and shoulders. This will keep the hair neatly in place and prevent it getting tangled, so you won’t feel the need to brush it as often. You may think hair extensions are a wonderful invention but over time, they can leave the hair broken and brittle. The problem is that they’re often applied to the roots, where the damage cannot be cut out. If when you’re wearing extensions, you find that you are uncomfortable or that your scalp is hurting, then your extensions will be putting too much pressure on the roots of your hair. If you’ve got to wear extensions, it’s best to have them done by a professional hairdresser. Keep in mind that extensions can cause a serious hair loss condition known as alopecia. Avoid damaging your hair and causing hair loss by either minimising your use of extensions or trying to grow your hair naturally instead. 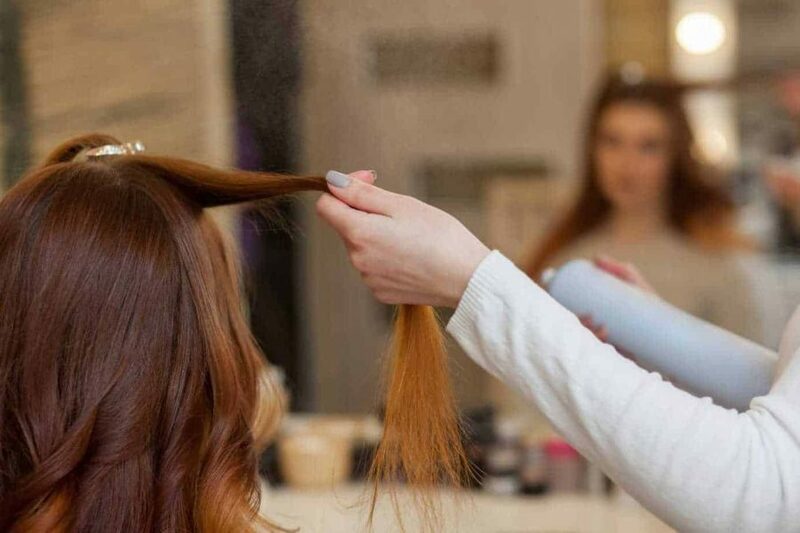 Whilst it’s great that we now have access to appliances like straighteners and products like hair extensions, the problem is that if used excessively, they can end up doing more harm than good to our hair. Keep this information in mind next time you’re styling your hair to avoid causing permanent damage and loss. For more information about recovering from hair damage and hair loss, get in touch for a free consultation with one of our experts.